I live in Devon in the South-West of England. Originally from Yorkshire, I moved here to be with my family, via The Netherlands for several years, before settling down here. I am a critical care nurse and work primarily nights to ensure my cats and dogs have someone at home with them most of the time. 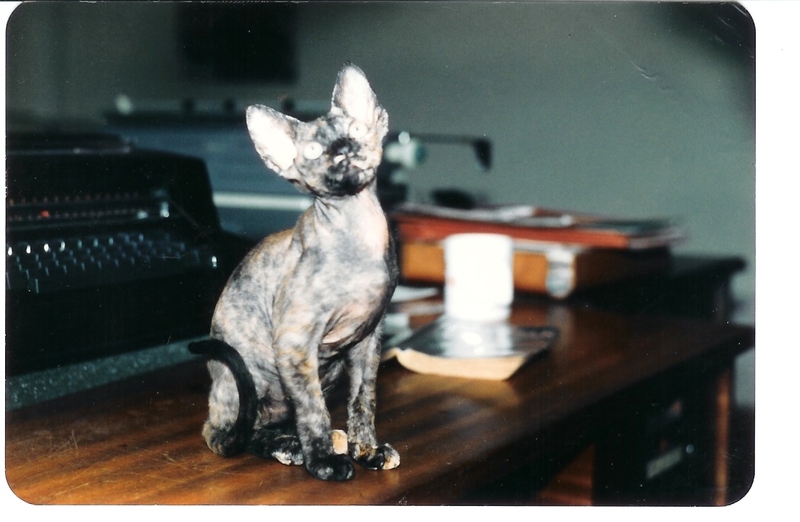 My sister, Elaine, and I began breeding Devon Rex in 1984 after I had started showing and breeding Siamese in 1981. At a cat show in Birmingham we saw our first Devon and were allowed to handle a Brown tabby kitten. We then saw the very famous Grand Champion Tukaboi Jolly Jester and decided that these funny looking gremlins were the ones for us. Some time after that I travelled to Newcastle to collect Gancanny Tappy Lappy - our Lulu. Since then I have become the sole owner of the prefix of Nobilero. I bred the very first male United Kingdom Grand Champion Devon Rex and have continued over the years to breed several top quality Certificate winning cats, however, my prime objective is to breed cats that are healthy with outstanding temperaments and who conform to the Governing Council of the Cat Fancy's Standard of Points. Unfortunately, the Devon Rex has been plagued with genetic inherited illnesses in the past, but due to some outstanding work by dedicated breeders these are generally a thing of the past. More information is available on this page. In 2007 I was lucky enough to be offered a Sphynx girl for showing and breeding and so I widened my interest to include the Sphynx cat. I never thought any breed would appeal to me in the same way as my Devon Rex, but I was very happy to be proven wrong when Caoimhe came to live with us. Since that time I have enjoyed showing both her and her progeny very well on the show bench. Sphynx are a generally healthy breed, but are plagued, as are most breeds, by HCM, however, any reputeable breeder tries to help eradicate this by scanning their cats - something I do on an annual basis.